Jane Watkinson graduated with an Honours degree in English from Liverpool University. She started her career working in sales for a Data Communications company and then moved into recruitment, joining an Independent Agency in Sheffield, working as Temporaries Controller. After a family move to Thame, she joined Downtown Recruitment and successfully managed the Temp Desk for 2.5 years. 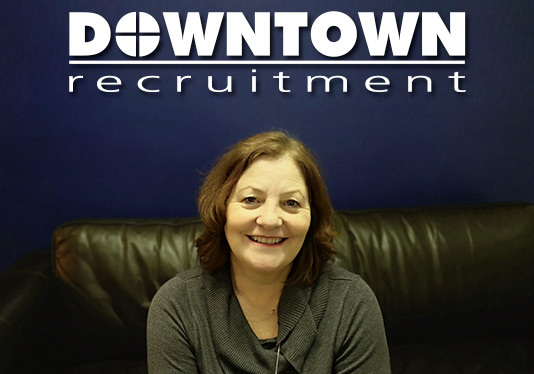 After a career break to bring up her 2 sons, she returned to Downtown Recruitment in 1999 and now works as Senior Consultant on the Permanent Recruitment Team. She has over 20 years industry experience and has extensive knowledge of the local employment market. I love working with both clients and candidates, providing a professional yet personal and fun service. I also enjoy working with my colleagues who are all exceptional consultants. In my spare time I am an avid reader, especially historic novels, autobiographies and crime fiction. I am also animal mad and have a soft spot for all creatures. I enjoy spending time with my family and friends and walking my 2 mad dogs - a Lurcher and a Pointer.